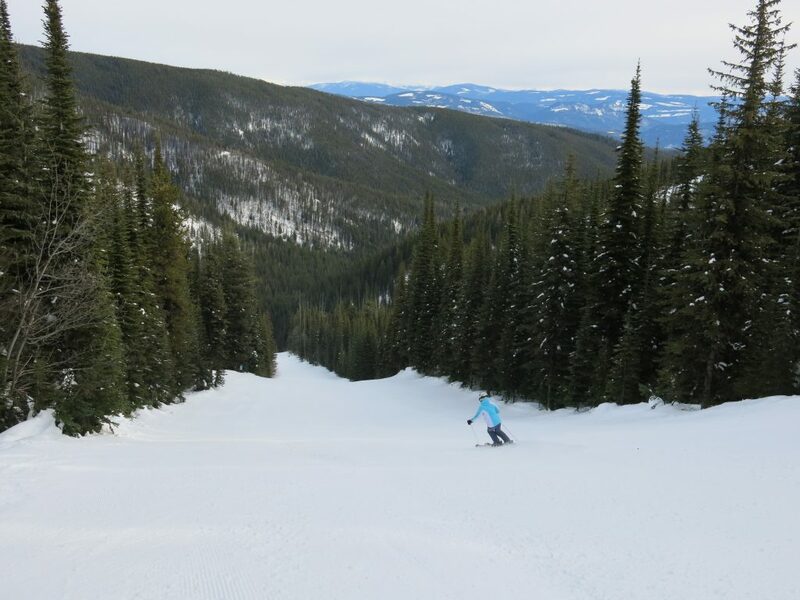 Silver Star is the 3rd largest ski resort in British Columbia on the north end of the Okanagan region of interior BC. 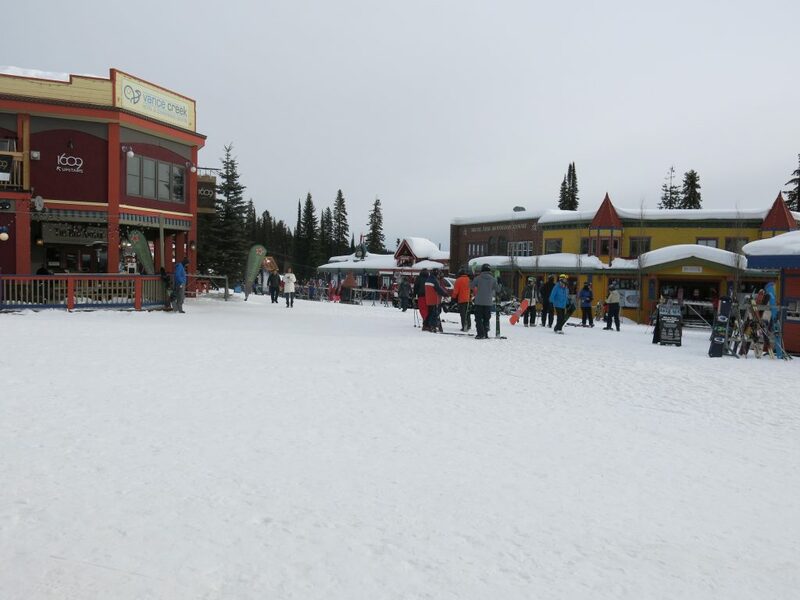 We really enjoyed this place and would favor it over nearby Big White. This was the 6th resort we skied on our 2017 Big Trip from Oregon to interior BC. 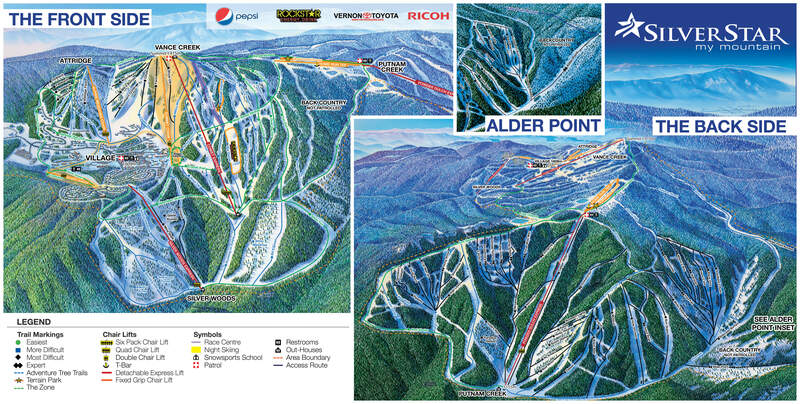 We would rank this as our 3rd favorite in the area after Sun Peaks and Apex. Starting at the mid-mountain parking lots, we headed right to the top and over to Putnam Creek and the Powder Gulch chair. We were shocked at how good it was over there and ended up spending the entire morning skiing that one lift. It’s a large amount of vertical at 1841′ per ride, so the runs take a while and some of the groomed blacks are shockingly steep. Since the snow was firm after a rain/freeze cycle it was a bit icy and we watched one victim slide about 300 vertical feet all the way to the bottom, picking up a scary amount of speed in the process. It had a happy ending and showed us that there is some serious challenge here. The fact that this terrain faces due north is a departure from the norm in interior BC and would normally provide a better snow surface when conditions are more typically cold than they were when we were there. 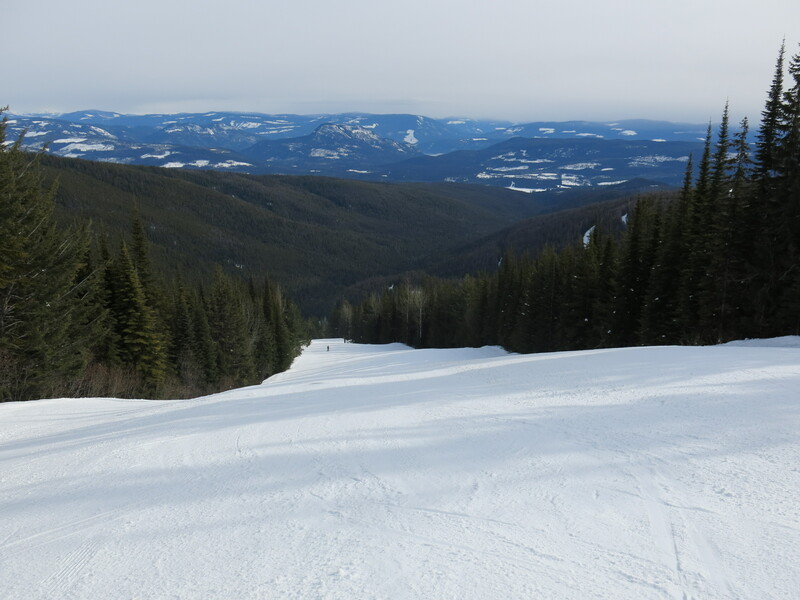 The backside at Silver Star is actually 5 or 6 different ski pods served by one lift which is unusual so you can spend all day there and not get bored. They do a massive amount of grooming at this resort which was vital for the conditions we hit, which would have been really icy if not for the grooming. There were enough groomed runs there to keep us busy all morning and it resulted in us having a late lunch. Note that getting back to the frontside from Putnam Creek involves taking a T-bar on some really flat terrain and then skiing back on a very long cat track. We went back to the very colorful mid-mountain village for a great lunch in one of the many restaurants there. We love it when there are lots of non-resort operated options and once again the food was above average and not that expensive. The front side at Silver Star is less impressive with shorter chairs and a confusing layout. We did enjoy it but wasted some time trying to ski all the chairs. By the time we got over to the main lift at the resort the Comet Express, they were roping off the runs half way down and forcing everyone back to the village. 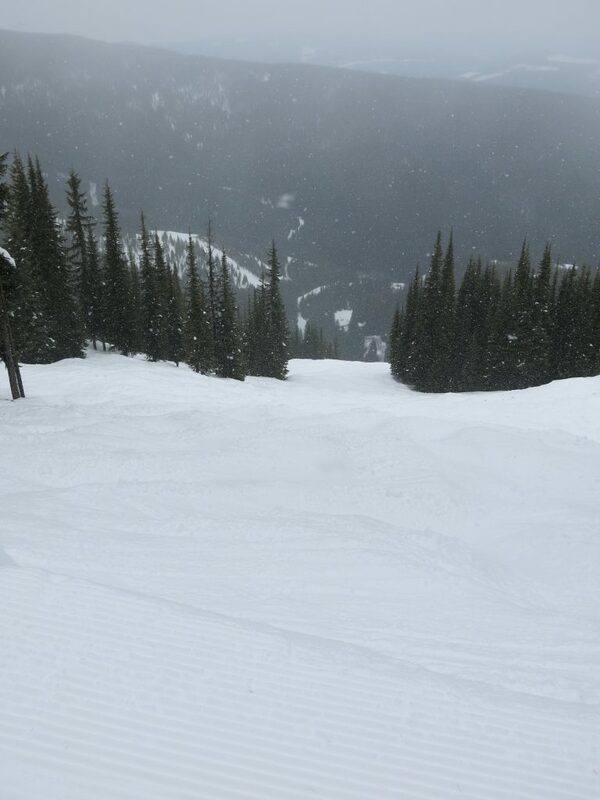 We forgot that ski areas in interior BC typically close at 3:30 instead of 4, and they rope stuff off starting at 3PM. Although we did find some skiable bumps here and there on the front side due to the exposure to sun, we much preferred the more challenging terrain on the back and the excellent, copious amount of steep groomed terrain there. 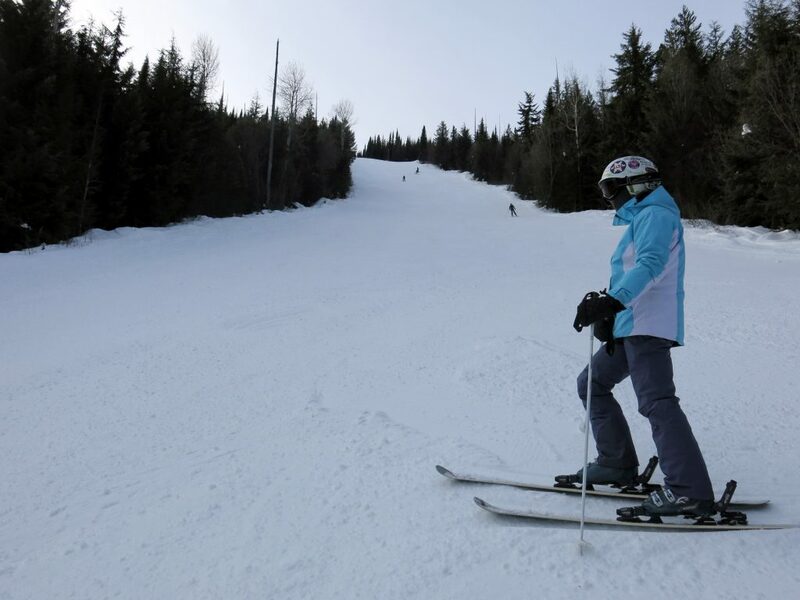 Still, the resort has a great variety of terrain of all types and it would appeal to every level of skier. 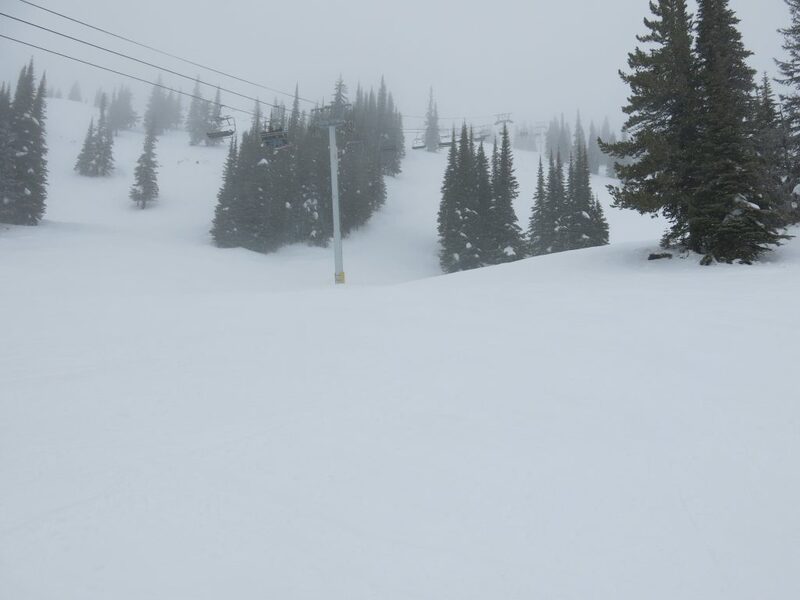 We would definitely like to ski Silver Star again some day. 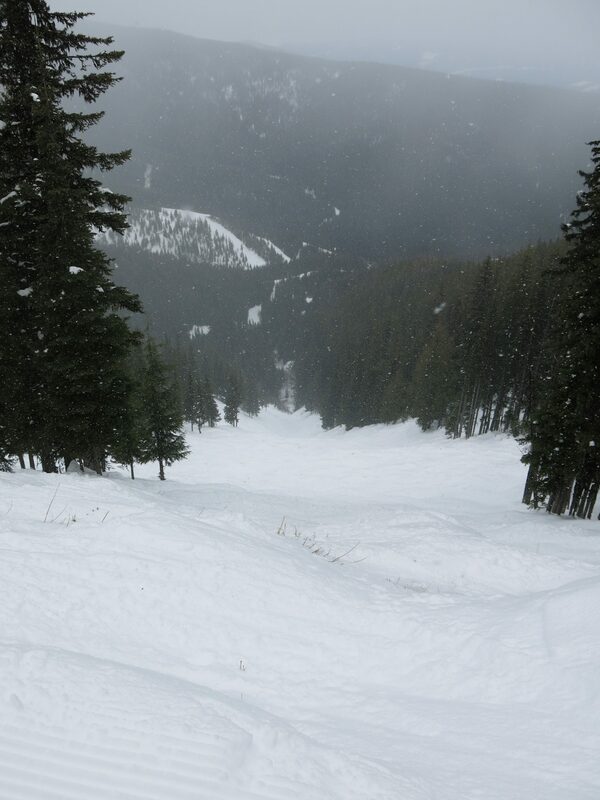 The friendly people, great terrain, and lack of crowds is a winning formula.